« Tejas MK-1A: Small is Beautiful but Pricey? Acquiring of airframes and spares of retired Jaguar fighter aircraft off late has seen some nasty and unwanted comments from the section of the mainstream media who are most interested in some political scoring with the government rather than understanding the practical and economically sensible move made by the Indian Air Force. What IAF is doing to maintain it’s Jaguar fighter aircraft fleet is not a Jugaad to keep in service old fighter type but it is a widely practiced method of using decommissioned aircraft to prolong current fleet of aircraft in the same airforce or elsewhere because a retired aircraft really never retire immediately like many would like to believe. While Jaguar fighters have been retired from all its operators now, IAF instead is also making all-out efforts to make them technologically relevant till the time they are retired by making considerable investments in upgrading its Avionics and Engines which will breathe in a fresh lease of life while keeping them operationally fighting fit and relevant. Hindustan Aeronautics Limited (HAL) already has been tasked to implement DARIN III Configuration to around 60 odd Jets which as a part of the upgrade will receive Elta EL/M-2052 active electronically-scanned array (AESA) radar along with open system architecture mission computer, multi-functional displays, engine and flight instrument system, geodetic height correction system and inertial navigation system with satellite navigation. In addition, Upgraded Jaguar fleet will now be able to deploy ASRAAM short-range air-to-air missile and the CBU-105 Sensor-Fuzed Weapon. Jaguar fleet will also soon get Honeywell’s F125IN low bypass-ratio turbofan engine which will improve operational availability and performance considerably of the whole Jaguar fleet. According to media reports, Each DARIN III upgraded Jaguar aircraft costs IAF $6 Million a Unit and Each F125IN Engine $5 Million a Unit, additional costs to equip whole Jaguar strike aircraft with ASRAAM short-range air-to-air missile will cost India $428 million. So basically, IAF is able to get AESA equipped aircraft with Modern avionics and weapons under $20 million a unit and whole Jaguar fleet internally is as advanced as any low-cost fighter which is available in its segment at the fraction of the cost. While the Jaguar fleet is modern and technological relevant but it is also a fact that the production of the airframe components have stopped a long time back and finding a replacement for them is harder to come by, unless same components are cannibalized from other retired aircraft as per need basis. Each retired aircraft procured from other operators will be dismantled and each airframe components like fuselage panels, wings, tails, nose cones etc will be scanned and checked for their condition in detail and once they are found acceptable, will be categorized and stored till the time they are needed by the depot which maintains Jaguar squadrons. The second purpose is also to build a War Reserve in case of war. Jaguar squadrons while participating in a war can suffer from numerous damages ranging from minor sting or splatter due to heavy AAA fire or due to near escape from a MANPAD fire. there are several possibilities and many of the times even the smallest non-availability of a single component can ground a near perfectly workable jet in the middle of the war. 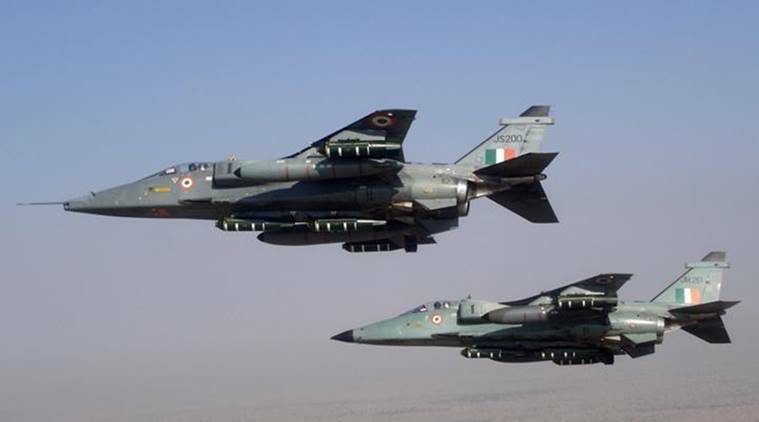 Procurement of his retired Jaguars will help IAF maintain and keep its current Jaguar fleet operational till the time they are no longer needed in the service and secondary in case of war will come handy in sustaining the fleet which will aid the air force to defend the country.